Damage control. Make sure all the accounts you included in your bankruptcy are listed as such, and show $0 balances if you filed Chapter 7. 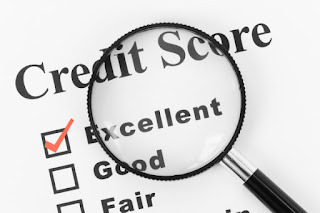 If a creditor continues to report the account as delinquent –which they shouldn’t- your credit score will suffer. Get new credit cards. That’s the most important step in your bankruptcy recovery. If you can’t get approved for an unsecured credit card, start out with a secured card. 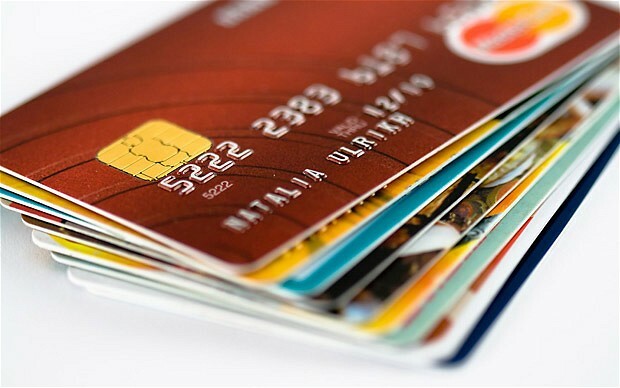 With a secured card, you will make a deposit with the credit card issuer, which will in essence be your credit limit. Typically, after a year to 18 months of on-time payments, you could graduate to an unsecured card. Piggyback. If you have a trusted friend or relative, ask them to make you an authorized user on one of their credit cards. Your bankruptcy won’t affect your friend’s credit, but you automatically get the account history for that card in your report. Bigger loans. What about auto and mortgages? You can start shopping for auto loans as soon as a few months out of bankruptcy. Traditional banks are likely to turn you down, but the financing folks at the dealership may be more lenient, especially if they’re in a bind to meet sales quotas. Mortgage lenders will want to see at least two years of good credit behavior. However, Fannie May has just reduced the waiting time to one year for ‘victims’ of the real estate collapse who have re-established a good payment schedule. 1. Personal bankruptcy is not just for the poor. Linda Johnson, an entrepreneur in Georgia, built a life around her six- figure income. But when her new business collided with the credit crunch, Johnson found herself facing a financial fate she never anticipated. “It’s a far way to fall,” she says. Meet the new face of bankruptcy. This nation’s worst downturn in 70 years pushed more formerly affluent people into bankruptcy than in previous recessions. 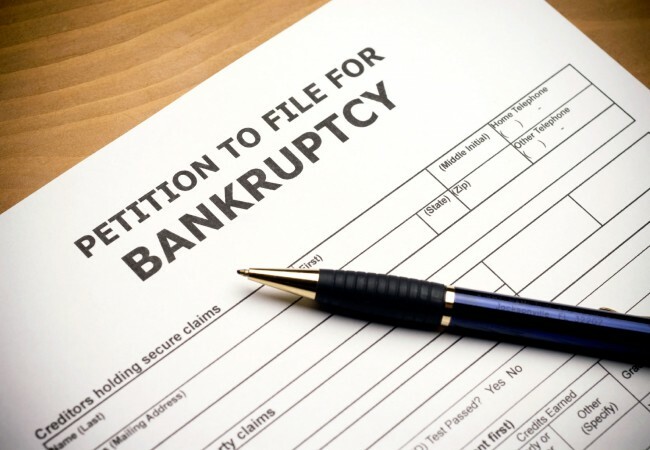 Overall, personal bankruptcy filings were up 36.5 percent in the first half of 2009 from the same time a year ago, and experts predict the number of filings will keep rising even as the economy recovers. Last year the institute surveyed likely bankruptcy filers and found 8.1 percent made more than $60,000, up from 6.9 percent in 2007. Experts blame the increase on slumping real estate and job losses, which have cut deeply into professional positions. 2. When it comes to bankruptcy, one size doesn’t fit all. 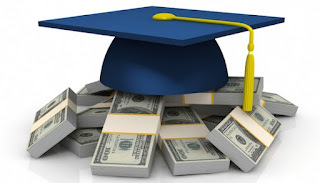 No type of bankruptcy will eliminate certain kinds of obligations, like child support, alimony and most student loans. But there are differences in the way debt gets handled in personal Bankruptcy, often depending on which kind you file for, either Chapter 13 or Chapter 7. And each has pros and cons. Chapter 13 allows those with regular income to repay debts over three to five years. That drags things out a bit, but it stops the foreclosure process, meaning debtors behind on their mortgage can keep their house and catch up on payments over time. Those without regular income must file Chapter 7, which involves no payment plan—all eligible debt, such as credit card balances, gets wiped out. But it’s hardly a free pass. Most debtors find the process pretty traumatic, not to mention severely damaging to their credit score. And Chapter 7 doesn’t stop foreclosure, so banks can still take the homes of debtors behind on a mortgage. How do you know which form is right for you? Bankruptcy law is complex, and certain provisions vary from state to state, so it’s often best for potential filers to consult an attorney before deciding. 3. We don’t want your house if we can’t get good money for it. A common belief about bankruptcy is that it will leave you with nothing, living out of a cardboard box. But that’s not necessarily true, even in Chapter 7 cases. In theory, Chapter 7 involves liquidating most of a debtor’s assets to pay creditors, including the home. But in reality, homeowners who end up filing often don’t have enough equity in their home to benefit creditors, either because they’ve taken out a second mortgage, the home’s value has fallen or both. In such cases, the trustee handling the bankruptcy can decide not to liquidate the home, in which case the debtor gets to keep it. Also, there’s something called the homestead exemption, which in most circumstances allows you to keep your primary residence if your equity in it is below a certain threshold. It can vary widely from state to state: from $30,000 for a married couple filing Chapter 7 in Illinois, for example, to $75,000 for the same in California. In Florida, if you’ve owned your home for more than 1,215 days the amount is probably limitless, depending on how the equity was obtained. But since Chapter 7 doesn’t stop foreclosure— although it tends to delay it by a few months—those behind on their mortgage often can lose their home regardless. 4. This could actually improve your credit score down the road. Yes, bankruptcy will pummel your credit score. Yet bankruptcy can be less damaging in the long run than juggling late payments on credit cards for years in a bid to postpone the inevitable. 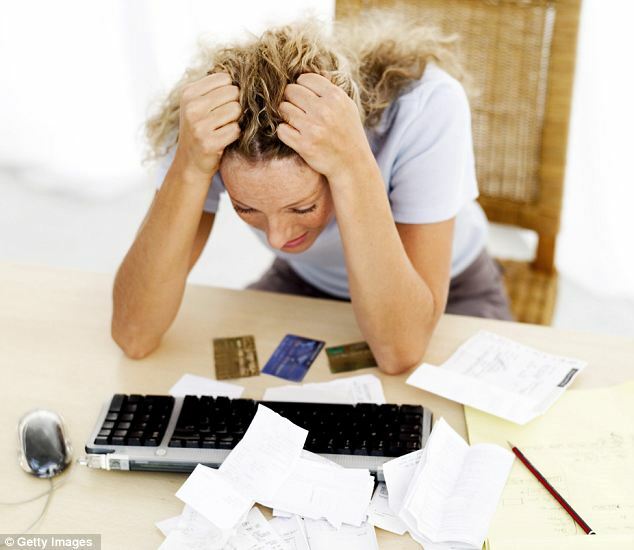 Bankruptcy stays on your credit report for 10 years, but you can begin repairing it immediately, if gradually. The fact is, most people go bankrupt with lousy credit. They’ll be able to return to (and maybe surpass) their prebankruptcy FICO score more quickly than the rare debtor with pristine credit who needs to file bankruptcy after, say, a serious illness—which could mean a credit score drop of 100 points or more. Since 35 percent of one’s credit score is based on payment history, the further consumers get from any missed payments, the more their score improves. How to quicken the recovery? Establish new credit as soon as possible, either through a new credit card or car loan, though bankruptcy filers will have to pay higher interest rates. 6. Don’t settle with Mom first or fudge the condo in Boca. 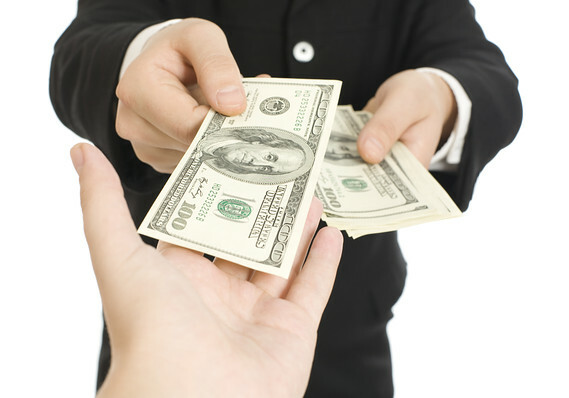 Many debtors naturally want to pay back friends and family before filing for bankruptcy. Yet that can be a big mistake. Any money repaid to “insiders”—including relatives, friends and acquaintances, or business partners—within a year of bankruptcy is recoverable by the trustee. If the recipient doesn’t voluntarily return it, the trustee has the power to sue. A more serious infraction involves trying to hide assets from the court. So don’t even think about giving your Harley to your brother— or selling it for cheap—to protect it from creditors. 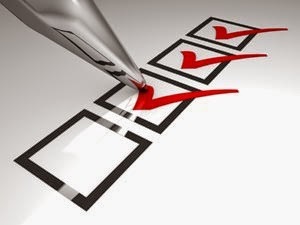 Bankruptcy filers must list everything they’ve sold, transferred or given away over the past two years. And nothing can be transferred, given away or sold for less than market value. There are many ways bankruptcy “fudgers” get caught. Spurned lovers or creditors often turn them in. I recall a case in which a lawyer read in the paper that a bankruptcy filer he’d represented a few years back was selling property. Turns out the filer had hidden the house from the court. He lost his bankruptcy discharge, letting creditors come after him again. Liars can also wind up in jail for perjury. 7. Better save up before you file. This spring, Mary Smith realized she was in over her head. The entrepreneur from Long Beach, Calif., had incurred more debt than expected launching her business and wanted to explore the possibility of bankruptcy. Yet once she started pricing lawyers’ services, Smith realized she couldn’t afford to file Chapter 7. Lawyers suggested she borrow the money from family and friends. “I was so hurt by that,” says Smith, who hasn’t even told some of her loved ones about her situation. She’s hoping to file with the help of a legal-services nonprofit. Lawyers in Chapter 7 cases generally request payment up front; otherwise, their fees would be discharged during the bankruptcy process along with other debt. (In Chapter 13, part of the lawyers’ fees become part of the payment plan.) Consumers seeking advice can visit the National Association of Consumer Bankruptcy Attorneys to find a knowledgeable attorney nearby. There are usually ‘pro bono’ forums at the bankruptcy court, and we offer periodical clinics as well for local people in need. 8. Just because your bills stop coming, after filing bankruptcy, doesn’t mean you shouldn’t pay them. Not only does filing for bankruptcy stop collection calls, but most bills stop coming too. That’s because the courts immediately file an injunction that prohibits collection actions against the debtor or his property. But that doesn’t mean debtors are suddenly released from payment obligations for secured possessions they want to keep—that’s legal lingo for anything bought with collateral, like a car or house. During Chapter 7 proceedings, which usually last about four to six months, you must remember to pay for what you want to keep in the absence of a bill. (In Chapter 13, those bills are folded into the payment plan the court establishes.) Besides the house and car, secured possessions could also include an engagement ring or other jewelry. Debtors must decide to “reaffirm”—that is, keep and stay current on—any secured debt before all other debts are eliminated in bankruptcy. To do that, in the absence of a bill, contact the party you send payment to. For example, those with Chase auto loans should call the company for logistical (not legal) guidance, says a Chase spokesperson. 9. Timing is everything. When you owe more than you own, it’s time to consult a lawyer. But that doesn’t mean bankruptcy is necessarily the next step. It’s often best to wait until you think the worst is over, because if you file prematurely, you’ll likely incur more debt, which won’t be included in the bankruptcy discharge. For example, those facing hospitalization may want to postpone until that’s behind them. And for Chapter 7 filers who stand to lose their home, holding off on filing can maximize the time living in the residence without making mortgage payments. To do this, wait until the eve of foreclosure to file for bankruptcy, but don’t do this without legal advice. On the other hand, there are situations in which it’s best not to wait. Those with no hope of repaying debt often have little to gain by postponing. In such cases, it’s usually better to bite the bullet sooner rather than later. 10. Bankruptcy doesn’t have to be the end of the world. There’s nothing easy about bankruptcy. It can be especially hard for middle-class filers who face a swift and unexpected slide down the socioeconomic ladder. And those who file for medical reasons suffer the double burden of health problems and financial distress. An important part of the coping process, mental-health professionals say, involves acknowledging the normal feelings of depression, fear and anger that often accompany bankruptcy. But many people emerge from it stronger than they expected. It helps that bankruptcy has become more widespread these days, lessening its stigma. Before she filed, Johnson, the Georgia entrepreneur, dreaded the process and worried about how it would leave her. “I thought I’d be living in a double-wide,” she says. Instead, she parlayed her marketing skills into a deal on a new rental when she lost her home in Chapter 7. (She offered to market the subdivision in exchange for a lower rent.) She lost her old Chevy but got a bargain on a used Jaguar. More rewarding than these material comforts, Johnson says, was that she emerged from bankruptcy with her friends, her family and her faith intact. Indeed, support networks often make all the difference in helping people cope with bankruptcy, counselors say, so don’t be ashamed to reach out. 1. Don’t leave out bank, checking, savings, brokerage, credit union accounts. 2. Don’t use your credit cards. 3. Don’t take credit cards cash advances. 5. Don’t make balance transfers. 6. Don’t pay debts to family. 7. Don’t pay debts to friends. 8. Don’t tell a creditor you intend to pay. 9. Don’t leave assets of any kind off of your paperwork. 10. Don’t fail to tell your attorney about your small business, sole proprietorship, partnership, LLC, LLP, LC, Corporation or hobby. 11. Don’t give of gift property to anyone. 12. Don’t transfer assets to anyone unless it is a genuine sale for fair value. 13. Don’t cash out retirement plans or 401k’s. 15. Don’t hide assets or debts. 16. Don’t forget timeshares or co owned property. 17. Don’t omit unfiled legal claims you have. 18. Don’t forget stock options, profit sharing plans, or pension rights. 19. Don’t take out payday loans. 20. Don’t put your money in your children’s bank account. 21. Don’t omit or ‘save” a credit card for after your bankruptcy. 22. Don’t fail to list debt to family or other “insiders”. 23. Don’t write bad checks. 24. Don’t give creditors postdated checks. 26. Don’t forget to tell your attorney about liens or unpaid judgments on your home. 27. Don’t make major financial decisions without talking to your attorney. 28. 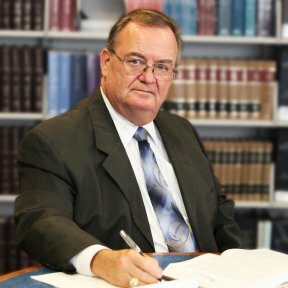 Don’t misrepresent facts to your attorney. 29. Don’t bank where you owe money. 30. Don’t take your name off a title to any asset. 31. 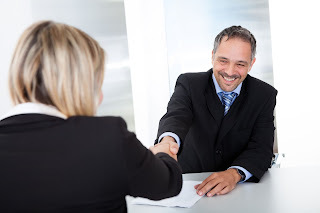 Don’t assume you understand bankruptcy fully, ask your bankruptcy lawyer. 1. Confirm a chapter 11 or chapter 13 plan under §1123 & §1129(a) although both are ride with too many complications to address here. a debtor going to borrow $17,500? There are lenders out there who makes those kinds of loans. 3. Reaffirm the debt, either at the present contract rate and terms (if the debtor cannot do better); or some mutually agreed modification of it. 4. Claim it as exempt. Since secured debt owed on property diminishes the equity the owner has, there is often little that needs to be exempted. Moreover, many debtors are so far upside down in the mortgages on their homes, that they are electing to surrender them, thereby availing themselves larger allowances. On March 24th, The Supreme Court heard oral arguments in the cases of Bank of America v. Caulkett and Bank of America v. Toledo-Cardona. Ever since the 11th Circuit turned Chapter 7 lien stripping on personal residences on its ear, Bank of America has been desperate to get the arguments involved in these cases before the U. S. Supreme Court. The ability to strip unsecured 2nd and 3rd Mortgages from personal residences in Chapter 7 has the potential to help 10’s of thousands of homeowners by reducing the indebtedness on their homes. Chapter 13 has allowed debtors to strip totally unsecured 2nd and 3rd mortgages from their homes for years, thus allowing debtors to retain their homes and provide for their families during harsh economic circumstances. Bank of America argues that the “Dewsnup”case (which was concerning limiting reduction of a FIRST Mortgage on a debtors home), should apply equally to 2nd and 3rd mortgages, even if the value of the home is LESS than the amount of the primary mortgage, thereby leaving subsequent mortgages totally unsecured. The 11th Circuit and the homeowners in the cases, argue that since Primary and “Dewsnup” are unaffected by stripping of totally unsecured secondary mortgages, the same logic should apply to Chapter 7 debtors that allows Chapter 13 debtors to strip secondary mortgages. In reading the transcript from oral argument, it seems clear, that even a divided court was having difficulty finding Bank of America’s argument compelling. In reality, “Dewsnup” would probably not be an issue today but for the collapse in real estate values, partially brought on by the race between lenders to capture as much of the higher interest rates secondary mortgage financing yields; a feeding frenzy brought on by illusionary increases in value fed by an overheated real estate market. Lenders never considered that real estate values could go down, let alone collapse. The race for higher profits seems to have diminished the “superior expertise” of the experts! 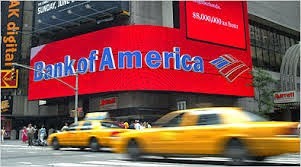 The major lender’s (Bank of America included) have had their bail outs. “HAMP” and “HAMP 2” have been largely ineffective for the majority of people applying for relief through those programs. Even though lenders were supposed to apply the programs in good faith, it has not been until lenders realized even they could not support owning every home via foreclosure that better results are starting to happen. It could also be that bringing the programs into the oversight programs developed in Bankruptcy Court has also had a major hand in producing better results. In the Southern and Middle Districts of Florida, the success rate in Bankruptcy Court for obtaining modifications has been a resounding 72-82% success ratenas opposed to the unsupervised efforts by lenders of just 4% success nationwide. Regardless of these numbers, strapped homeowners may get their “bailout” with the coming decision. The pendulum may just start swinging the other way.